It may seem like a daunting task if you are new to playing golf, but finding the right size clubs for your height is absolutely essential. If you have ever played with clubs that don’t quite suit you, you will know just how uncomfortable it can be. Players in New Zealand certainly do not need to freak out at the thought of sizing clubs, because it really isn’t as tricky as you think it is. Keep reading, and let ebalongolf.com shed some light on the mystery. One of the best reasons to learn about golf club sizing is because playing with ill-suited clubs can affect your health and your game. We’re not fibbing. When you play with clubs of the wrong size, you need to compensate. Doing this could see you twist, turn, and contort your body in weird and wonderful ways – so weird and wonderful, you could do yourself an injury. Another reason to take sizing golf clubs seriously is because compensating for clubs that are too big or too small could develop into bad playing habits that could ultimately have a negative impact on your game. However, not all reasons are negative. The positive effects of playing with clubs that are the right size for you include comfortable golfing, swing speed control, and the possibility of tailoring the way to play according to your individual requirements. Sizing is also important when placing the best golf bets. 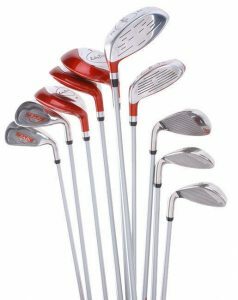 Sizing golf clubs becomes much easier if you are a man between 173cm and 185cm tall, or a woman between 160cm and 173cm tall. This is because you can more than get away with the standard-sized clubs available in New Zealand’s sports and golfing shops. If your height doesn’t fall within the range, you will need to pay a bit more attention to golf club sizing. If standard-sized clubs aren’t going to work for you because you are shorter or taller, sizing golf clubs can be done with just a quick measurement. This can be difficult to do by yourself, so get one of your golfing buddies to assist you. Basically, you need to measure the distance between the floor and your wrists. To do this, you need to stand up straight. Keep your arms at your sides, but be relaxed and natural about it. You will also need to stand with your feet roughly 30cm apart. Your friend will then need to measure the distance from your wrist crease to the ground. Left-handed players need to be measured from their right wrists, and right-handed players from their left wrist. For example, if you are between 147cm and 152cm tall, and the distance between wrist and floor is 101cm, you will need clubs that are 5.7cm longer than the standard size. If, at that height, the distance is only 73cm, you will need clubs 3.2cm smaller than the standard size.